Orders are shipped by United States Postal Service(USPS) Express, USPS Priority, USPS First Class, or UPS Next Day Air, UPS 2nd Day Air, UPS 3 Day or UPS Ground. If you want to use your own shipping carrier, please advise us of your courier company name, account number and carrier contact information/representative at the last page of your order process(in a comment box). Shipping service is provided by third party (e.g. UPS, USPS, FedEx, etc..). We are not responsible for delay during shipping, package loss, products damage or any other mistakes caused by shipping carriers. If we receive orders before 12 pm(PST) Monday - Friday, and ordered items are in stock, we usually ship out orders by the end of the day. If we can not ship out by the end of the day, we will ship the items as swiftly as we can. Not guaranteed service. We ship out on Monday - Friday, and we usually do not ship out on Saturdays. Depending on our stock and product availability, shipping may take 2 - 3 weeks after final order/payment approval and availability. Please order *earlier* and allow 2-3 weeks for delivery for the items out of stock. We *will* make sure to inform you by email if our delivery takes longer than 1 week. We will do our best to deliver the out-of-stock items to you as fast as we can. We accept Credit Cards, Bank Transfer, e-Check payments via Paypal feature as well as Check and Money Order Payments. Credit Card payment option at the end of ordering process will bring you to the page powered by PayPal. Choose [Dont have a PayPal Account?] option to pay by your Credit Card or bank account (where available) if you do not have a PayPal account. Please *do not* mail CASH. We do not accept CASH payment. If you send us cash in your mail, we are not responsible for its delivery nor its loss. Please inspect your package carefully upon arrival. You must contact our RMA (Return Merchandise Authorization) department within 7 days from the date you accepted delivery if there is any problem with your shipment. For damaged package, please contact the carrier immediately for inspection. If the merchandise that you ordered is unopened and in saleable condition, we will refund you the cost of the items minus shipping and a 15% restocking fee; this means shipping charge is not refundable, and we need to deduct 15% restocking fee. You must return products for exchange or refund within 30 days from the invoice date. If you would like to return an item, please notify us by phone (562-394-5202) or by email within 7 days after receiving your order. We will give you a Return Authorization number to be written in the RMA REQUEST FORM, which must be included in the return package. 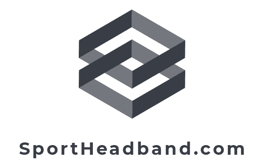 A Return Merchandise Authorization (RMA) number issued by SportHeadband.com must accompany all returns. The RMA number must be written on the outside label of every shipping box. We cannot process returns without this number. RMA numbers must be obtained no later than 7-days from the date you accepted delivery. All products must be returned in "sellable" condition. Products must be sealed, unopened, and in original packaging. All returns must be shipped freight prepaid. In other words, customer must pay for the shipment of product from customer's location to ours. Refunds will be issued upon receipt of the returned product and approval from our credit dept. Product returns cannot be accepted after 30 days under any circumstances. If paying by Money Order only Store Credit can be issued.